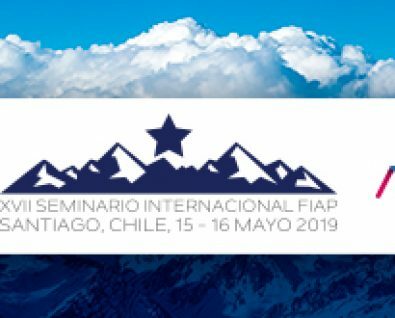 We are pleased to invite you to participate in the 17th FIAP International Seminar “Pension systems in a changing world,” jointly organized by the International Federation of Pension Fund Administrators (FIAP) and the Chilean Association of Pension Funds A.G. , to be held on May 15 and 16, 2019, at the Santiago W Hotel, Santiago, Chile. As on previous occasions, the event will feature international experts speaking of their experience and knowledge in different areas of interest. The Seminar will be attended by participants from different regions of the world (FIAP members and others), including government officials, legislators, officials of international agencies, representatives of pension fund managers, mutual funds and insurance companies, and other personalities related to the financial sector and social security. This Seminar coincides with the 23rd FIAP Annual Assembly. The details of the seminar’s web page, including the academic agenda and the means of registration, will be announced shortly.